Leo Wright (tp), Harry Hayes (as), Tommy Whittle (ts), Bill Lewington (bs), George Shearing (p), Alan Ferguson (g), Bert Howard (b), Billy Wiltshire (d). Familiar Moe#/High As A Kite#/A Flat To C#/Blue Charm*#. Johnny Wise (d) replaces Wiltshire. Let's Get Acquainted#/Alto Reverie#/Crazy Rhythm#/Rockin' In Rhythm*#. Sweet Lorraine (vcl JP)^/Old Man Rebop^*. Frank Weir, Carl Barriteau (cl), Harry Hayes, Bertie King (as), Tommy Whittle (ts), Ralph Sharon (p), Dave Goldberg (g), Jack Collier (b), Jock Cummings (d). Confessin'/C Jam Blues/Thriving On A Riff*. Kenny Baker, Mo Miller, Stan Reynolds, Stan Roderick, Dave Wilkins (tp), Jackie Armstrong, Maurice Pratt, Jack Bentley, Jimmy Coombes (tb), Reg Owen, Les Gilbert (as), Johnny Gray, Tommy Whittle (ts), Bob Burns (bs), Dave Simpson (p), Dave Goldberg (g), Charlie Short (b), Jack Parnell (d), Ted Heath (ldr). Tommy Whittle (ts), Dave Simpson (p), Dave Goldberg (g), Charlie Short (b), Jack Parnell (d). Tommy Whittle (ts), Ronnie Ball (p), Frank Donnison (b), Tony Kinsey (d). All The Things You Are*/Perhaps, Perhaps, Perhaps*/Dearly Beloved (unissued)/Untitled Original (unissued). Bobby Pratt (tp), Roy Willox (as), Tommy Whittle (ts), George Hunter (bs), Frank Horrox (p), Johnny Hawksworth (b), Ronnie Verrell (d). Wit's End*/Portland Place*/Sam's Say*/Night And Day*. Janie*/Darn That Dream*/Speechless*/Twelve To Four*. Tommy Whittle (ts), Alan Graham (vib), Ralph Sharon (p), Ike Isaacs (g), Joe Muddel (b), Ken Harris (d). Love Walked In/Room 504/Deep Purple/We'll Gather Lilacs. Jimmy Deuchar (tp), Tommy Whittle, Don Rendell (ts), Benny Green (bs), Bill Le Sage (p), Sammy Stokes (b), Tony Crombie (d,leader). Jump For Jeff*/Tres Gai*#/All Star Special^. Kenny Baker (tp,flhrn), Jimmy Deuchar (tp,fhr), Bruce Turner (as), Tommy Whittle (ts), Vic Feldman (vib), Dill Jones (p), Sammy Stokes (b), Tony Kinsey (d). If I Could Be With You (2 takes)/Young And Healthy (2 takes)/A Long K.B. Blues. 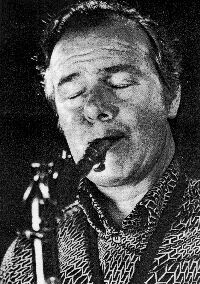 Tommy Whittle (ts), Harry Klein (bs), Dill Jones (p), Joe Muddel (b), Eddie Taylor (d). Martini (2 takes)/Zythum (2 takes)/Yesterdays (2 takes)/Debut (2 takes). Archer's Treat/Pyramid/Willow Weep For Me (2 takes)/Crazy Rhythm. Ten-bar Gait*#/The Finisher*/Someone To Watch Over Me/Harry's Blues. Tommy Whittle (ts), Harry Klein (bs), Dill Jones (p), Dave Willis (b), Eddie Taylor (d). Flamingo/Ghost Of A chance/I'll Remember April*/You've Done Something To My Heart*/Stars Fell On Alabama*#/Cherokee*. Cleo Laine (vcl), Eddie Blair (tp), Ken Wray (tb), Dougie Robinson (as), Tommy Whittle (as Virgil Nameless) (ts), Ronnie Ross (bs), Max Harris (p), Sammy Stokes (b), Eddie Taylor (d), Johnny Dankworth (arr). Jeepers Creepers*/I'm Beginning To See The Light*/Deep In A Dream*/I'm Putting All My Eggs In One Basket*. Dickie Hawdon, Derek Abbott, Bill Metcalf, Stan Palmer, Colin Wright (tp), Jack Botterill, Garry Brown, Laurie Monk, Tony Russell, Danny Elwood (tb), Johnny Dankworth (as), Tommy Whittle (ts), Alex Leslie (bs,cl), Dave Lee (p), Eric Dawson (b), Kenny Clare (d). Tommy Whittle (ts), Eddie Thompson (p), Brian Brocklehurst (b), Jackie Dougan (d). The Finisher/Cabin In The Sky. Tommy Whittle (ts), Eddie Thompson (p), Maurice Salvat (b), Jackie Dougan (d). Day By Day/Laura/Love Is The Sweetest Thing/Just Squeeze Me. Tommy Whittle (ts), Harry Klein (bs), Eddie Thompson (p), Ken Sprang (b), Jackie Dougan (d). You Stepped Out Of A Dream*/Dearly Beloved*/Poinciana*/Broadway*. Jimmy Watson, Les Condon (tp), Bob Burns (as), Tommy Whittle (ts), Tubby Hayes (bs), Norman Stenfalt (p), Lennie Bush (b), Tony Crombie (d). Lady Bee*/Howl*^/Lullaby*/Twelve By Five*/New Horizons*/Blues In The Dark*/Heard And Seen*^/Mine Still*/Loving Man* (not on records). Harold McNair (as,f), Tommy Whittle (bs,b-cl), Gordon Beck (p), Malcolm Cecil (b), Tony Crombie (d). 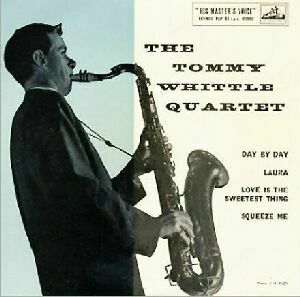 Tommy Whittle (ts),Bill Le Sage (p), Johnny Hawksworth (b), Ronnie Verrell (d).